1. Change out kitchen cabinet knobs. 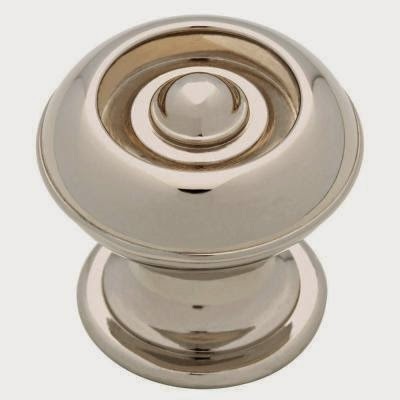 For under $3.50 each, these Martha Stewart (for Home Depot) polished nickel knobs are my "go to". They are incredibly inexpensive and have a beautiful finish. Take your bathroom or kitchen cabinets from blah to wow! 2. 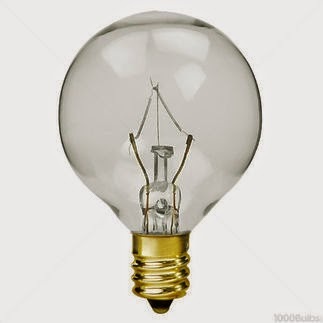 Switch out dated chandelier bulbs for cool round bulbs found at any hardware store and at .80 cents a piece, well, you still have money to spare! 3. 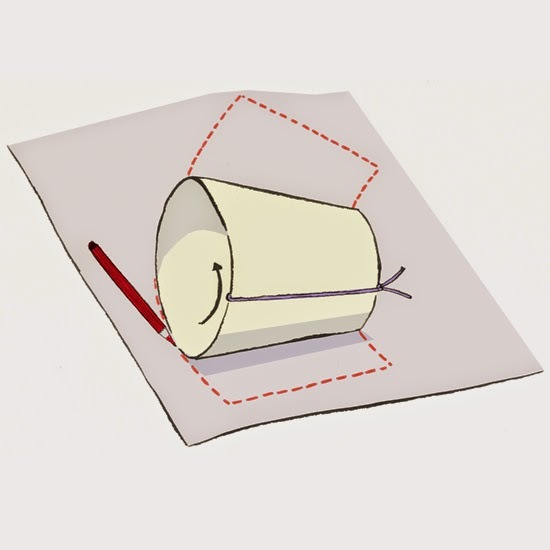 Cover an existing lamp shade with fabric and a little spray adhesive. 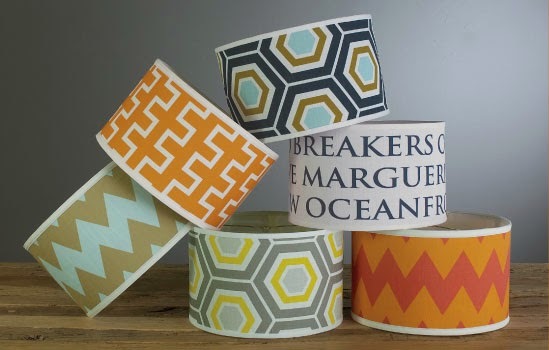 You won't need much fabric and it will brighten up a drab lamp! 4. Spray paint a piece of furniture. 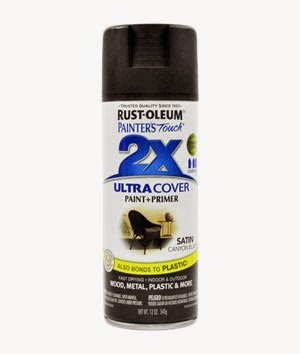 My favorite line of spray paint is Rust-oleum 2X. It has a built in primer which saves a step but gives you a lacquer finish. Do not, I repeat: Do not, spend $25 on the "lacquer" fancy spray paints. They don't work, don't look like lacquer and chip. Plus they are a a waste of money. This little can is $3.85 and can be found at Home Depot. 5. 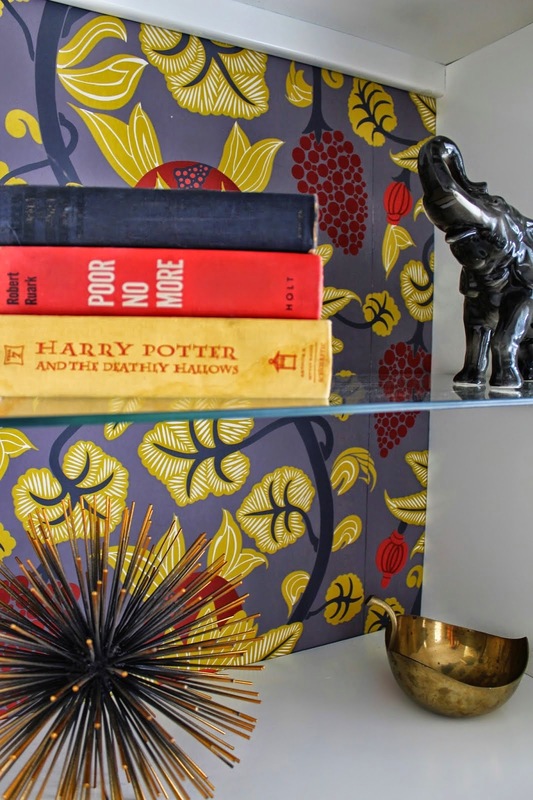 Back a bookcase with a roll of wallpaper or heavy duty wrapping paper for impact. 6. Speaking of bookcases...Add a detail to the leading edge. This can be done with a hot glue gun. You can choose to add a ribbon or fabric trim that is the same width of the edge/surface. You can also choose an architectural detail from your local hardware store and apply with heavy duty wood glue. These come in strips so one to two pieces should do the trick. 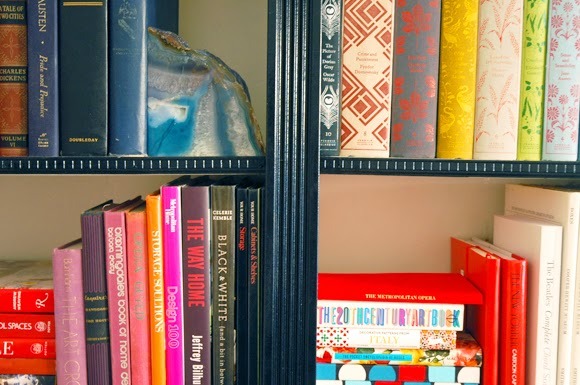 Paint the edge the same color of the bookcase and you have another detail that won't go unnoticed. 7. Need a drapery rod, but don't want to spend the cash? Use a rope from the hardware store and secure at each end with a metal eye hook. It adds a coastal vibe and a touch of rustic to this little boys' room. 8. Because readers are still talking about this one...Ditch your fan globe light cover and replace with a drum shade. You can retrofit any old shade to add interest to a dull fan! 9. 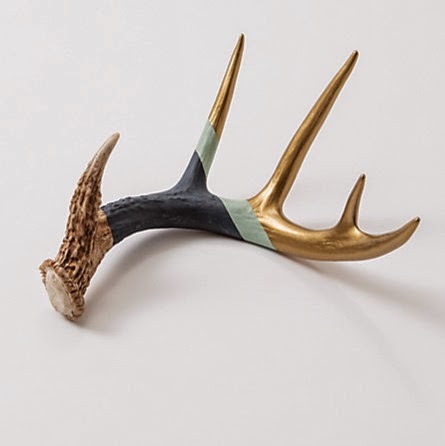 In our "redneck" homes, antlers are a plenty. I'd like to say some of them are faux, but a lot of them have been passed down from family hunters. Gilt them! Dip them! Sit them on a bookcase (above) or on a stack of books on your newly styled coffee table. This art room was in need of a desk. I was tight on money and space, so I scored a door from the Habitat Restore. It's a flat panel, hollow core door with a standard size of 36"X80". I added 3 metal brackets from Lowes for support and created the perfect work space in this art room for yes... UNDER $10. Yep, 10 Design tips for under $10. Now rush home and get started. Your wallet will thank you! Really cool collection of design tips you shared here and I love it a lot.